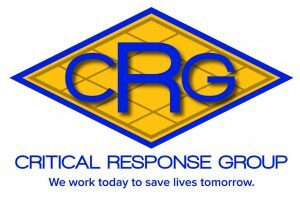 The Rodgers Group team possesses extensive and broad experience in the field of Public Safety Training. Our professionals will provide goal driven, timely, and effective training to your personnel while utilizing current best practices. We will consult with your department to determine the appropriate strategies for designing, developing and deploying training programs that best suit your current and future needs. Furthermore, we will design and implement an evaluation tool to measure the effectiveness of training that your officers receive, so that you can visualize your Return on Investment. Our custom designed cutting edge “E-Learning” training will provide your department an inexpensive and flexible solution for your training needs. By utilizing our system you will be able to keep track of the course offerings, schedule or assign training for officers and track their progress and results. Managers can review a student’s scores and identify any areas that need additional training. Most importantly, online training will allow your officers to spend more time on the street and less time in the classroom. The Rodgers Group remains steadfast in its goal to reduce your department’s liability and risk through our training programs. Most notably, our online training platform allows for comprehensive record keeping that allows managers to ensure that all personnel are scheduled, receive, and complete required training in an easy to navigate format.